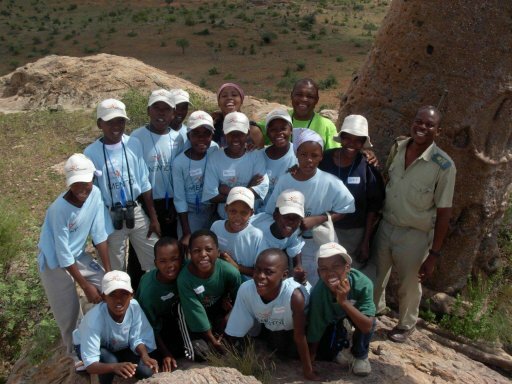 operates a program to bridge the divide between the rural communities and conservation areas in and around the Greater Mapungubwe Transfrontier Conservation Area. 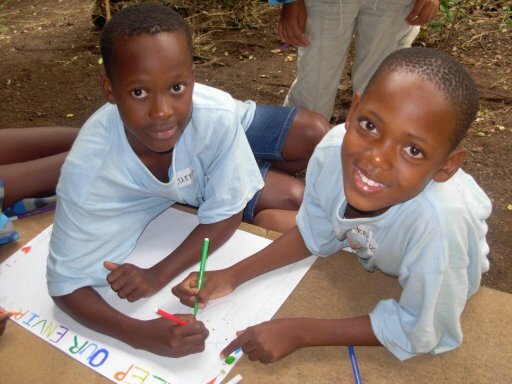 The Children in the Wilderness programme hosts rural children of between 8 and 16 years of age. The children are hosted in groups between 16 - 45 participants at a time, for periods of up to 6 days at Wilderness Safaris Camps. The well-structured curriculum is offered in a safe wilderness environment where nature becomes the teacher and the healer. During the children's stay, the focus is on providing a wide variety of educational activities in an age-appropriate and fun way. We believe and have seen from some of our past camps that by the end of the programme, many of the children are motivated to continue with their schooling and to strive for a better life. Educational topics covered during their stay include: the geology and geography of the region; the area's wildlife and its conservation; arts and crafts; theatre; nutrition, sport, health and HIV/AIDS. 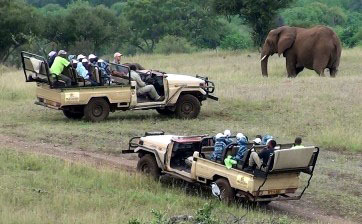 Morning or afternoon game drives are an essential part of each day and often in the evening enjoyable wildlife and educational videos are screened. the Greater Mapungubwe Transfrontier Conservation Area? At the confluence of the Shashe and Limpopo Rivers three African countries, Botswana, South Africa, and Zimbabwe share borders. This confluence has been increasingly recognised in conservation and policy circles for its significant wildlife and diverse vegetation, and the planning of the Greater Mapungubwe Transfrontier Conservation Area has included this area in its core. The area is also noted for its cultural significance, underpinned by the recent recognition of a number of key archaeological sites along the confluence. * To increase awareness of the benefits of environmental conservation and employment opportunities within our wildlife and tourism industry. * To instil a sense of hope and teach life skills necessary to achieve the greatest potential of the children in the communities around the GMTFCA. * To increase involvement in the children's cultural and archaeological heritage. 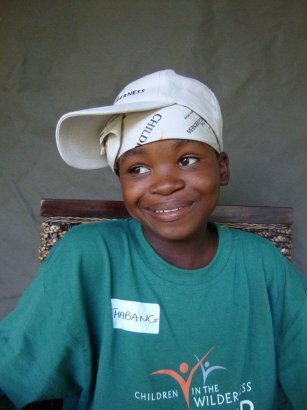 * To mitigate the impact of HIV/AIDS and reduce vulnerability of the children. * To develop personal and interpersonal skills, including leadership and teamwork. * To develop creativity and increase confidence and self-esteem for personal growth and development. * To develop the children as positive role models in the local schools and communities of the GMTFCA. * To improve gender relations and promote gender equality. * To support learning programmes at schools and motivate children to commit to lifelong education.